This accommodation is well connected and in close proximity to popular Himalayan tourist destinations such as Mussoorie, Nainital, Auli and Hindu holy cities of Haridwar and Rishikesh. It is located on the lush green foot of the Himalayan Mountain Ranges, the picturesque landscape and pleasant climate and provides a gateway to the surrounding region. 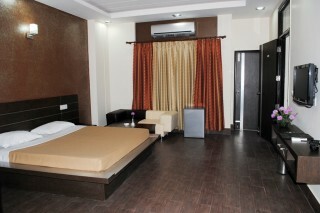 Away from the city noise, pollution and heat which gives you bliss of relaxation and comfort. 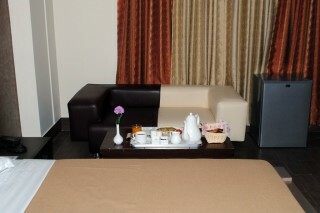 Whether you are on a business trip or pleasure visit, we serve you to suit your needs. 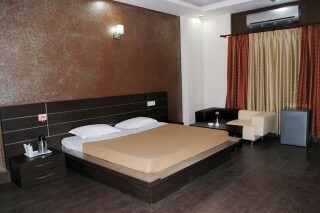 The rooms are well furnished and equipped with modern facilities. We have an in-house restaurant that specializes in serving delicious vegetarian and non vegetarian food with a 24 hrs room service. You can seek comfort and refuge away from the bustling cities. We look forward to your visit and it will be our pleasure to serve you. A delightful offering for vacations. 15 kms from Inter State Bus Terminus.